“I want all of this in my home,” I said as I walked through the doors of Sweet Tea Living. Owner, Megan Hoiosen, laughed as it’s something that she hears quite a lot. But it’s true. The beautiful furniture is both modern and rustic, fashionable and eclectic. 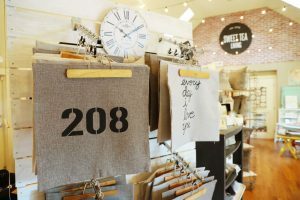 The store is filled with locally made soaps and trinkets, and of course, gorgeously laid out interior design that contrasts perfectly with the historic Eagle building that she opened her shop in. And the building’s history is something that Megan is extremely proud of–they love the small town charm! 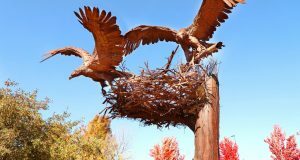 Megan was born and raised in Boise, but she and her husband moved to Eagle 12 years ago and fell in love with the beauty and architecture. 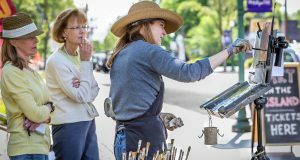 Megan has always loved interior design and spent much of her childhood riffling through her grandmother’s “treasures” and exploring boutiques and thift-stores. After teaching for over fifteen years, Megan was ready for a change. 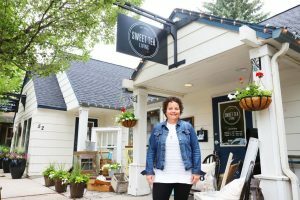 At the encouragement of her family and friends, she decided to pursue her dream of owning her own vintage design shop and Sweet Tea Living was born! Named for her deep affinity for southern Sweet Tea (which she has imported from Alabama for the store), Sweet Tea Living embodies both experience and atmosphere. Megan has captured a very specific niche with the unique way that she runs her business. The store is only every other week for three days at a time (Thursday, Friday, Saturday). While this may sound somewhat confusing at first, it is really a genius concept. 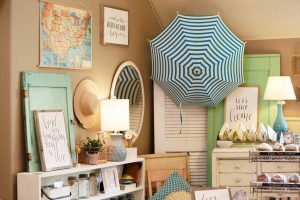 Because of the time in between, Megan is able to completely reorganize the furniture, get new pieces, and create an entirely new store each time she opens. This makes it more than just a shopping trip, but rather it becomes an experience that changes with each opening weekend. It becomes something of an event each time they open. Megan’s concept has created an elite following, with so many repeat customers, several who come each opening Thursday to look at the new designs. “My goal was to create a fun and relaxing atmosphere,” and she absolutely did. The beautifully ornate building is the perfect partner to her gorgeous pieces and local wares. Megan also spends a lot of her time as an interior design consultant. She travels to peoples’ homes and helps them redecorate their space with the items that they already have. Because for Megan, interior design isn’t about spending a bunch of money, it’s about create form, function, and aesthetic inside a space that reflects those within. Sweet Tea Living is more than just another antique store, it is a place to be inspired. It’s all about connection, communication, design, and of course, really good sweet tea! 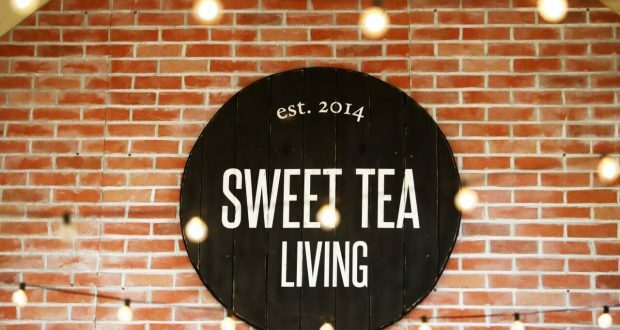 Follow Sweet Tea Living on social media (@SweetTeaLiving) for sneak peaks, giveaways, and store updates.